With only a yellowing photograph in hand, a young man - also named Jonathan Safran Foer - sets out to find the woman who may or may not have saved his grandfather from the Nazis. Accompanied by an old man haunted by memories of the war; an amorous dog named Sammy Davis, Junior, Junior; and the unforgettable Alex, a young Ukrainian translator who speaks in a sublimely butchered English, Jonathan is led on a quixotic journey over a devastated landscape and into an unexpected past. Jonathan Safran Foer is the author of the bestseller Everything Is Illuminated, named Book of the Year by the Los Angeles Times and the winner of numerous awards, including the Guardian First Book Prize, the National Jewish Book Award, and the New York Public Library Young Lions Prize. 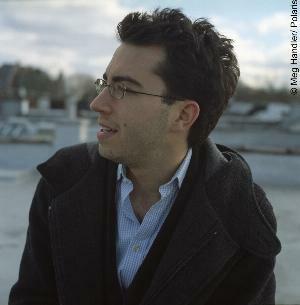 Foer was one of Rolling Stone's "People of the Year" and Esquire's "Best and Brightest." Foreign rights to his new novel have already been sold in ten countries. The film of Everything Is Illuminated, directed by Liev Schreiber and starring Elijah Wood, will be released in August 2005. Extremely Loud and Incredibly Close has been optioned for film by Scott Rudin Productions in conjunction with Warner Brothers and Paramount Pictures. Foer lives in Brooklyn, New York.